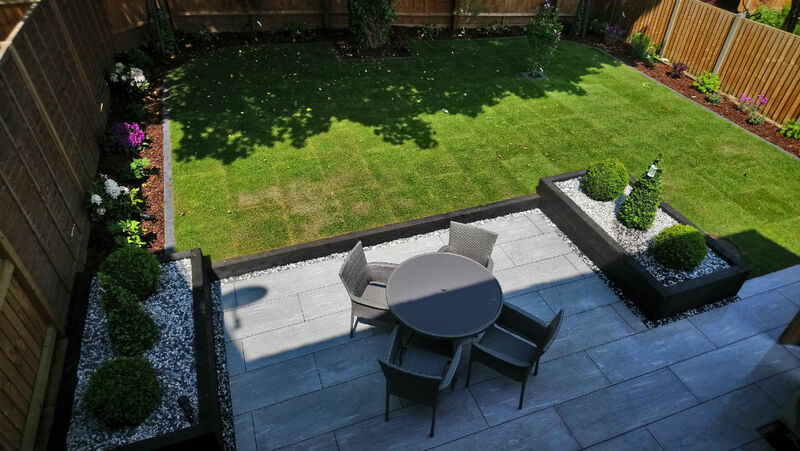 The small rear garden of this new build house in Hazlemere was a blank canvas. 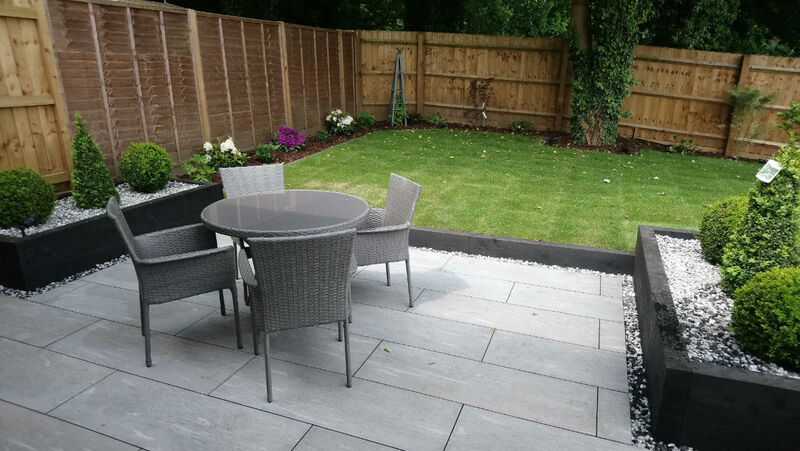 The brief was for a modern and low maintenance space but with year-round colour and a good size patio for entertaining. 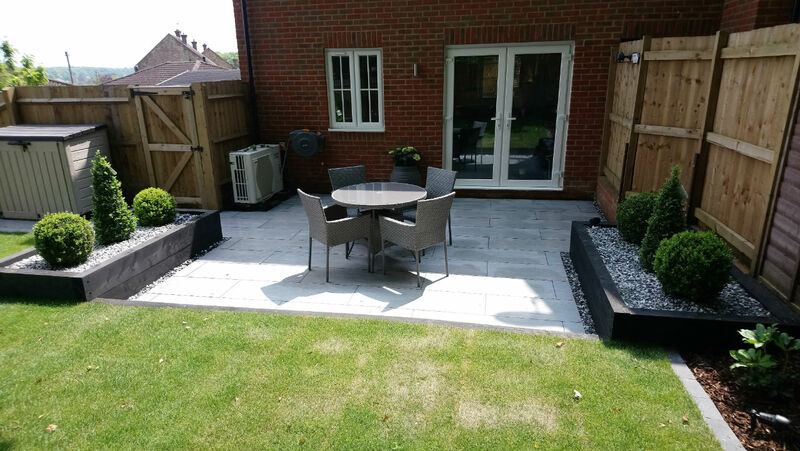 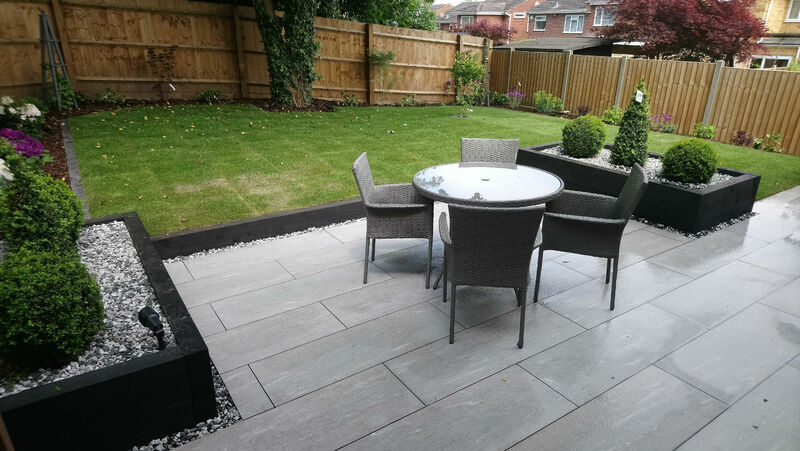 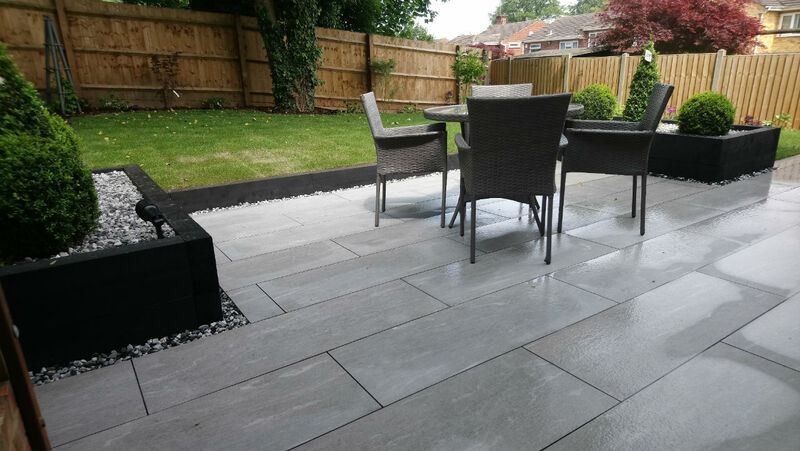 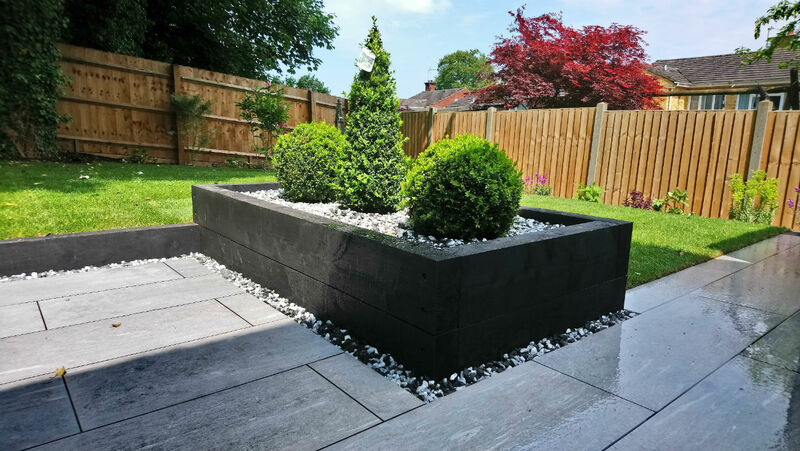 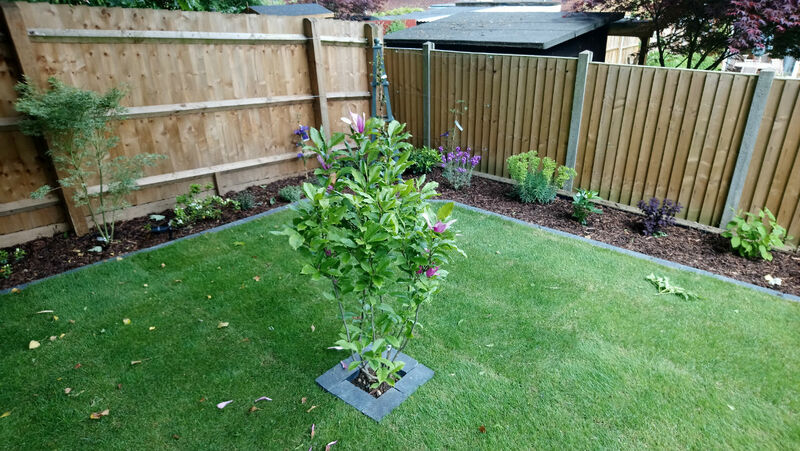 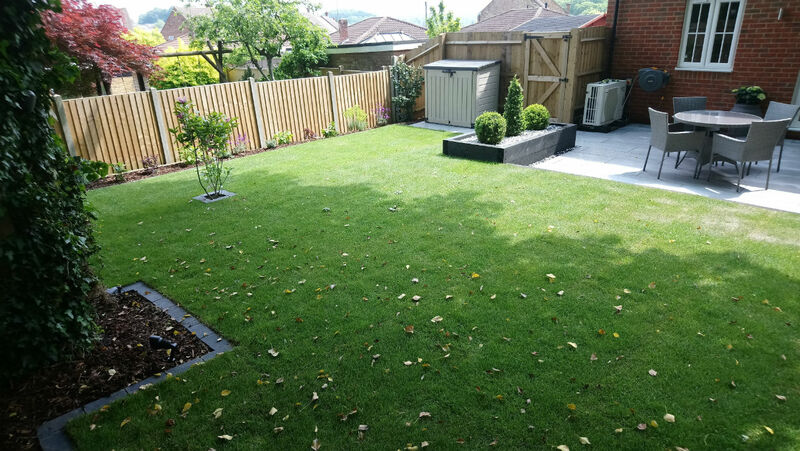 We used grey Porcelain paving and sleepers, which we painted black, to create a striking new patio area and used Box Topiary in the sleeper beds, surrounded by grey granite chippings, to continue the minimalist contemporary look. 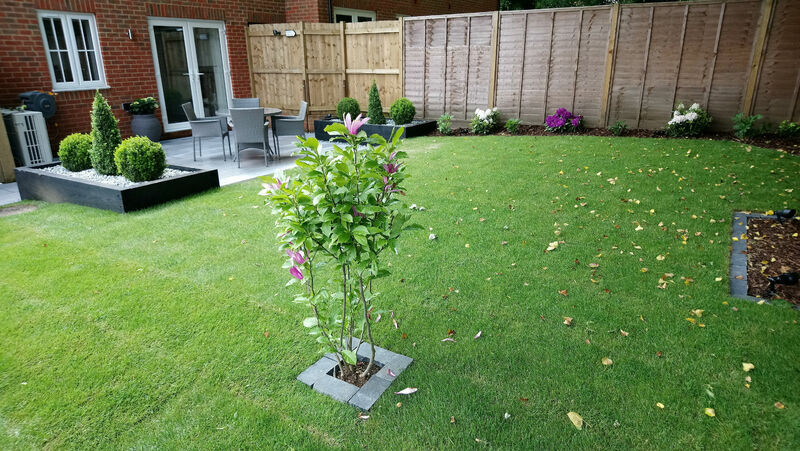 The borders around the edges of the garden include plants that provide colour at different times of the year and which tie together the modern elements of the new landscaping with the woodland backdrop. 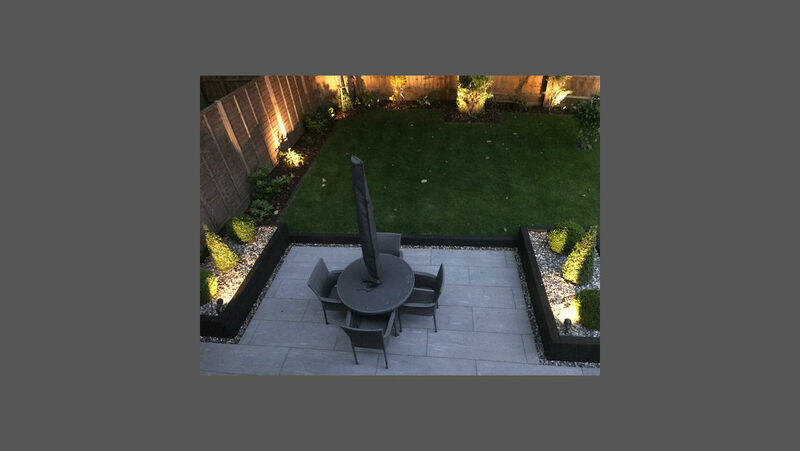 We also installed low voltage uplighting to illuminate some of the feature plants. 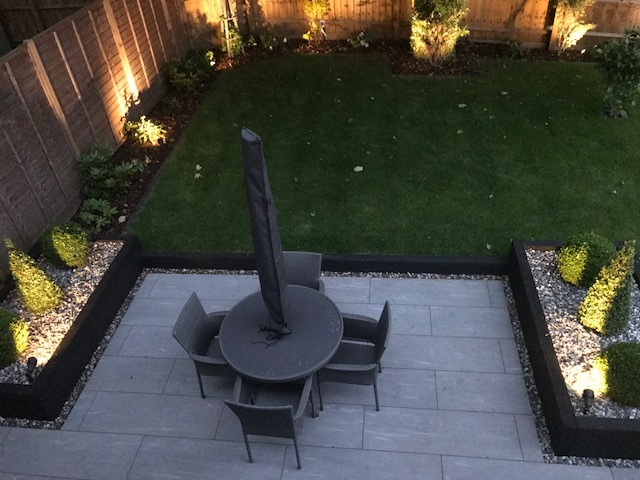 The client was delighted with the new look and finds herself using it even more than expected.